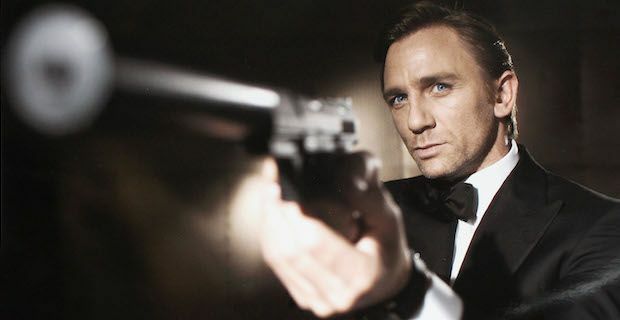 James Bond fans have been left drooling after the trailer for upcoming instalment Spectre landed online yesterday. It is an action packed 2 and a half minutes showcasing how 007 will have to take on the might of terrorist organisation SPECTRE. Daniel Craig once again picks up the mantle as Bond and the trailer opens with him being grilled by M, played by Ralph Fiennes, over an incident 007 was involved with in Mexico City. The secret agent was clearly acting alone and off the MI6 books and some serious stuff went down over there during a visually stunning recreation of Day of the Dead. However, that is all just preamble for the real story at hand which happens to be the return of SPECTRE whose members all have it in for our favourite spy. In the original Bond movies, SPECTRE was headed by one of the best Bond villains ever in Ernst Stavro Blofeld who really lived up to his end of the bargain by terrorising everybody. This time around, Blofeld may be given a run for his money by super villain Franz Oberhauser who is played by Cristophe Waltz. Oberhauser delivers a chilling bit of knowledge to James when the duo come face to face saying "It was me, James, the author of all your pain." Spectre will mark the final turn in the director's chair for Sam Mendes and the trailer hints that it could manage to outdo the stunning 2012 film Skyfall. The movie sees the return of Ben Whishaw as Q, who Pairs James up with a really sleek looking Aston Martin, as well as Naomie Harris as Miss Moneypenny and will hit UK cinema screens on October 26th.